Seoul, the capital of South Korea, is a metropolis where the modern, high-tech and pop culture blend with the traditional street markets, Buddhist temples and palaces. As the business and financial hub of the country, it is also an up-and-coming global cultural capital. But how is Seoul performing in terms of reputation and influence, business attractiveness and sustainability? Seoul as a hub for creativity and innovation. Ranked 6th in the Global Power City Index (2017), Seoul is the 3rd best-placed city in Asia. The city received high scores for R&D (5th), Economy and Accessibility (both 10th). It ranked 11th on Cultural Interaction and 22nd on Livability. Its weakest point is Environment, where it ranked 27th. In terms of its attractiveness for different audiences, Seoul ranked 10th for researchers, 12th for managers, 24th for artists and visitors, and 27th for residents. Seoul has a moderate reputation, ranking 47th in the City RepTrak (2017) study, which is the 4th highest position among Asian cities (after Tokyo, Singapore, and Hong Kong). 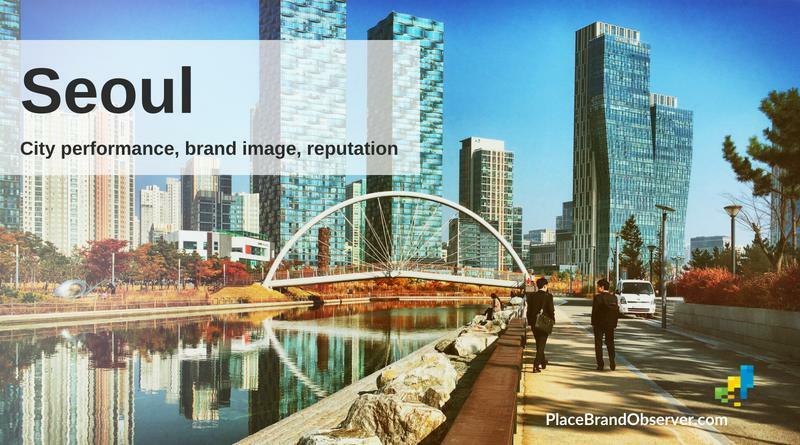 Seoul ranked 38th on the Ipsos Top Cities Index (2017), and 36th in Resonance Consultancy's World’s Best Cities Report (2018). In the latter, it scored 15th position in the sub-index of "Top Cities for Programming". Ranked 27th in the Global Financial Centres Index (2018), Seoul has changed its status and has now become a Global Leader in the ranking. The index also includes the city among the 15 centres likely to become more significant in the future. Seoul ranks 5th on the 2018 Mercer Cost of Living Survey, which means that it is one of the most expensive cities in the world for expats.